Higher seating position means it can be used as a highchair when out and about. Extendable Maximum Protection Hood: 50 UPF, water repellent and wind proof. Raincover included. 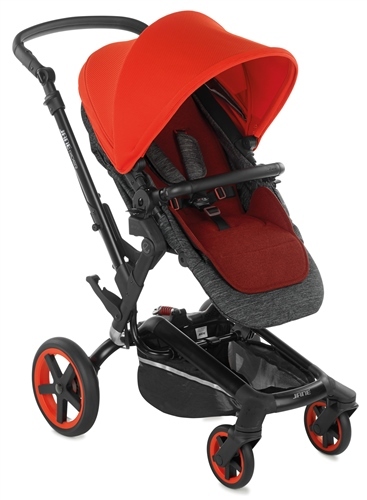 The Jané RIDER pushchair has the Pro-fix system built-in, and the following infant car seats and carrycots are compatible to convert the RIDER into a travel system or pram.